Background bunco history from L.L. Papergoods, your spot for professional Bunco Printables! The original term Bunco was in reference to an illegal, dishonest gambling game. Meaning that it was a game of chance with a small chance to win. It is suggested that it is derived from the Spanish game Banca, a card game similar to Monte. 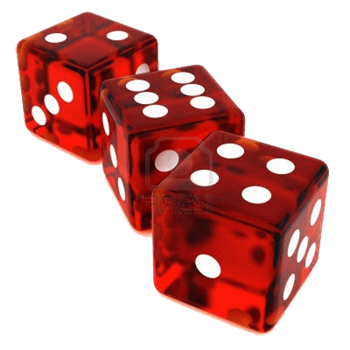 The game as we know it originates from a game called 8 – Dice Cloth, which got its start in aristocratic English parlors. In the mid 19th century, it was introduced to the United States. Here, it merged with the Spanish Banca and then became know as either Bunco or Bunko. This game was definitely a risky gamble. It began to be played in what were called Bunco Parlors. Bunco Parlors were definitely places of ill repute. Through the years, the game began to morph away from seedy bars and became a fun party game. As it grew in popularity, by the late 19th century, it was a common game typically played by women, school children, and couples. During prohibition, the game experienced resurgence as a risky dice game and started popping up in speakeasies across the country. Eventually the word evolved to mean swindling or fraud. From the 40’s through the 60’s, the term “Bunco squad” referred to policemen who investigate confidence swindles. It was a common idiom used during this time. 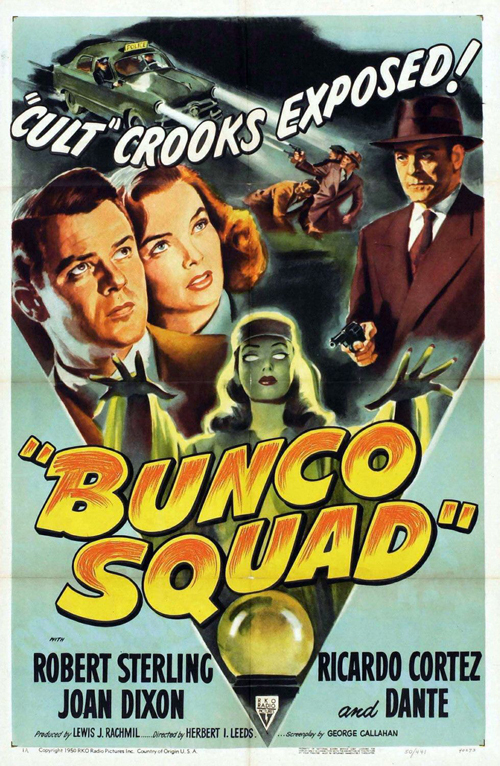 So much so, that in 1950, filmmaker Herbert I. Leeds created a classic film noir titled “Bunco Squad”. Eventually, the parlor game aspect of Bunco returned and it became a family game. Modern Bunco groups consist of 12 players (usually groups of women or couples) at Bunco-specific monthly theme parties.